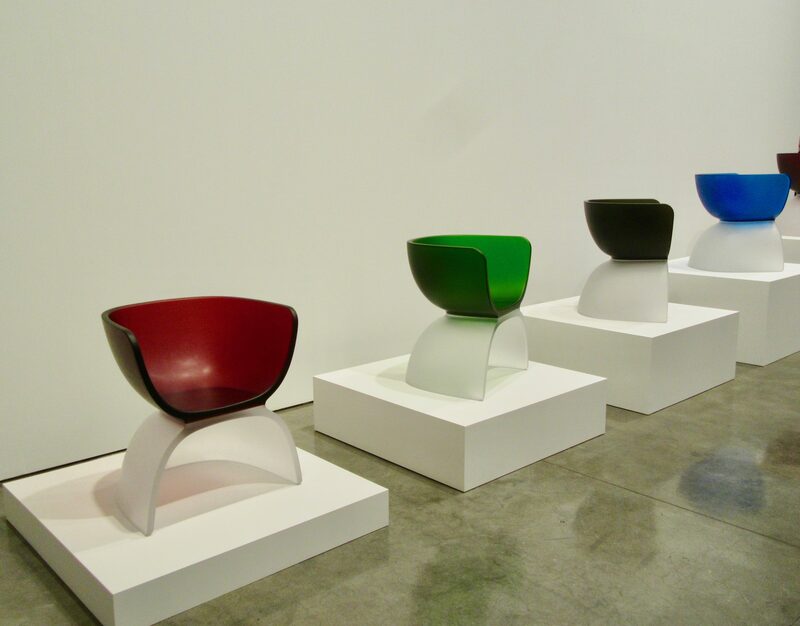 From the outset of his singular career, designer Marc Newson has pursued parallel activities in limited and mass production of functional design objects. Revisiting his roots as a jeweler and silversmith in an exhibition at Gagosian Gallery in Chelsea, Newson explores increasingly rare decorative techniques at an unconventionally large, even unprecedented, scale. 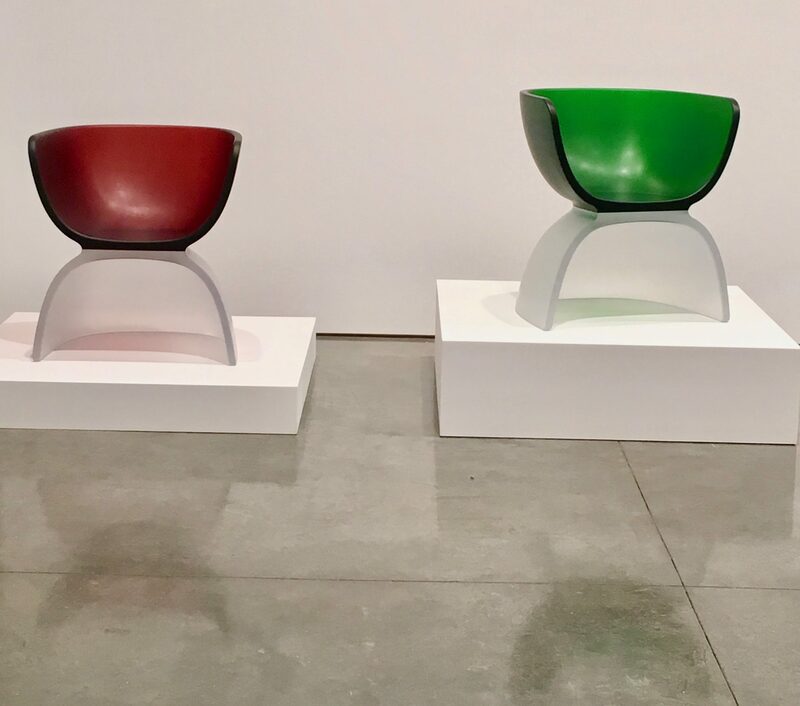 Newson’s Cast Glass Chairs (2017), made in the Czech Republic, are continuous symmetrical forms comprised of two hollow quarter-spheres. 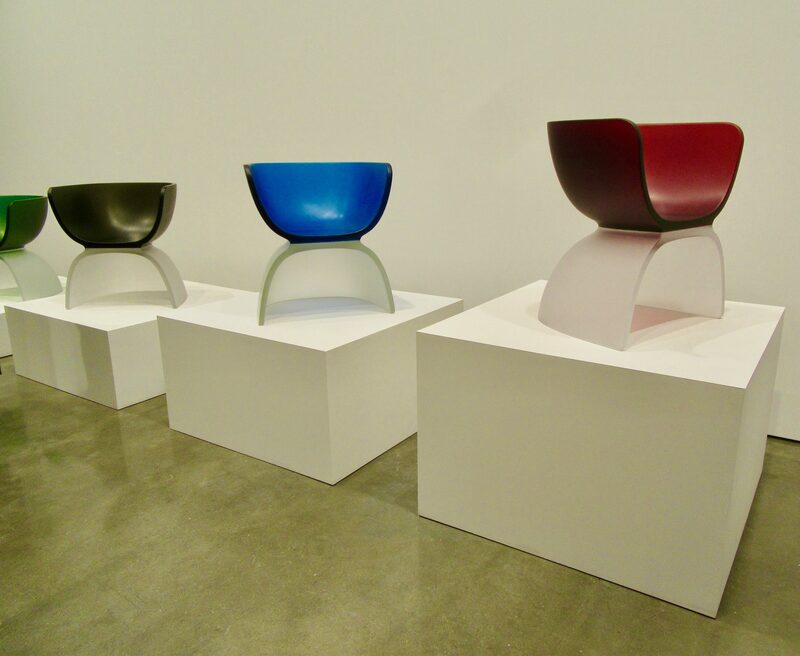 The boldly colored upper halves rest on clear bases, which absorb some of the reflected hues in their clouded interiors, an effect that subtly changes depending on the viewer’s vantage point. 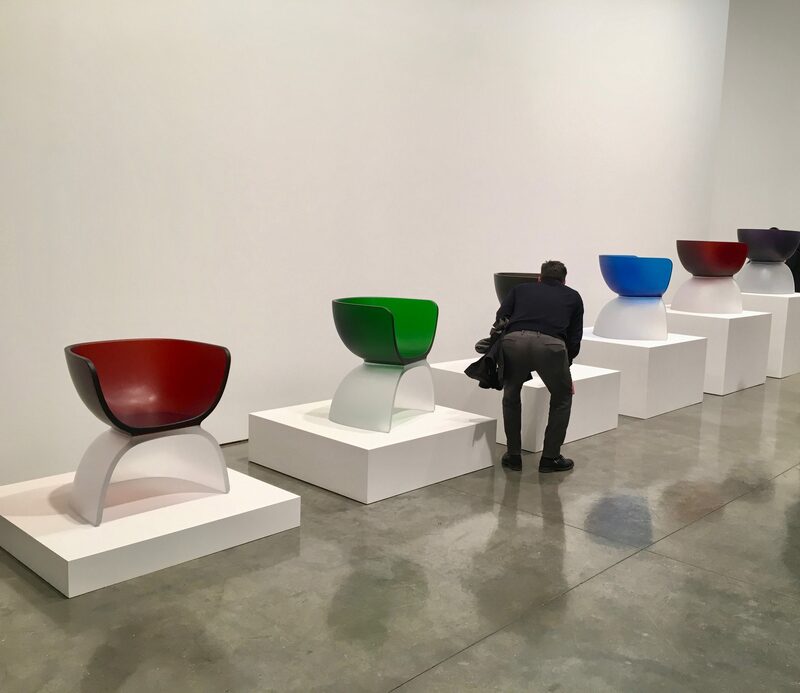 Photographed in the Gagosian Gallery, Located at 522 West 21st Street, Chelsea Gallery District, NYC· The Chairs are on View in the Gallery as Part of a Larger Exhibition of Newson’s Limited-Edition Furniture and Artworks, Through February 20th, 2019.